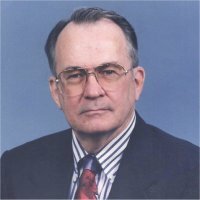 Larry J. Leiper, 80, of Shiloh, Illinois, peacefully left this life on Thursday, April 4, 2019 at his residence in Shiloh, Illinois. Born on Tuesday, November 22, 1938, in Clarksdale, Mississippi, he was the youngest of four children of the late Lawrence M. and Julia M. (Van Doorn) Leiper. His parents were originally from Coulterville and Quincy, Illinois, and in July 1941 the family moved to Belleville, Illinois. With his childhood friend, Roger Thierry of Belleville, Larry joined the U.S. Navy on May 17, 1956 at the age of 17. He served in the Pacific Fleet aboard the USS Kearsarge, an Essex-class aircraft carrier, as part of Task Force 77 on a Far East assignment to Japan, China, the Philippines, and Guam. 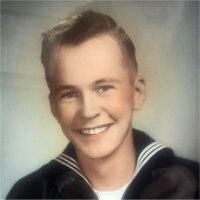 He was transferred to shore duty at Utility Squadron 7, Naval Auxiliary Air Station Brown Field at Chula Vista, California, where he was an aircraft mechanic and crew member towing targets for Navy and Marine Corps gunnery practice. Honorably discharged from this tour of duty, Larry transitioned to civilian life. He was employed by several companies, including Allied Glass Company in Belleville and Anderson Motor Services in St. Louis, Missouri with Teamsters Union Local 600. In 1984, he enlisted in the Navy Reserve and transferred to the Air Force Reserve the following year. In February 1991, he was called to active duty in support of Operation Desert Storm. He retired in 1999 as Master Sergeant, E-7. Larry married Mary W. Parker on June 26, 1976. They celebrated 42 years of life and love together, traveling throughout the United States, England, and Europe, often advancing their shared love of genealogy and family history research, motorcycling, and sailing. In May 1987, Larry received a bachelor’s degree from Southern Illinois University at Carbondale and qualified to compete for a career program with the Department of Defense. He won the position and enjoyed a fulfilling career as Special Agent in counterintelligence with the Defense Investigative Service and Defense Security Service. Following retirement, Larry was a self-employed contractor, providing investigative services for the Defense Department until 2014. Larry immersed himself with vigor in numerous endeavors and interests. He was an avid parachute jumper, private pilot, motorcyclist, bicyclist, and sailor. As a target shooter, he often placed and won in pistol competitions. Over the last 24 years, he was an enthusiastic antique clock collector, teaching himself to repair clocks and refinish their cases. Larry held memberships in organizations aligned with his interests. He was a member of the Sons of the American Revolution, Illinois Society, Lewis and Clark Chapter, where he served as Chair of the Flag Committee; the Society of Mayflower Descendants in the State of Illinois; and the New England Historic Genealogical Society. He was a member of the National Association of Watch & Clock Collectors and an Associate of the British Horological Institute. He was a Master Mason and life member of Gothic Lodge #852 A.F. & A.M. in Fairview Heights, Illinois, and a life member of the Ancient Accepted Scottish Rite of Freemasonry, N.M.J., U.S.A., Valley of Southern Illinois. He was also a member of the Illinois State Rifle Association. Larry was preceded in death by his parents; his brother, James Harold “Jim” Leiper; his sisters, Vivian “Joyce” Gardner Smith and Winifred “Jane” Louden; and his former wife, Ann Batchelor Banduhn. Larry is survived by his loving wife, Mary W. Parker of Shiloh; his daughter, Judy A. (Steve) Kupsky of Edwardsville, Illinois; his son, Christopher S. (Lori) Leiper of Marietta, Georgia; six grandchildren, Genevieve “Evie” and Adam Kupsky, and William “Jake,” Christopher “Will,” Michael “Mike,” and Katherine “Katie” Leiper; his sisters-in-law, Shirley Leiper of Salem, Oregon; Irma (John Dennis) Link of rural New Athens, Illinois; Karen (George) Kabacinski of Cypress, Texas; Jo Ann Naumann of Belleville; and Norma Voges of Belleville; his lifelong childhood friend, Roger Thierry; and many dear nieces, nephews, cousins, and friends. Memorials: In lieu of flowers, memorials may be made to the First United Presbyterian Church in Belleville, Illinois or to the Disabled American Veterans. Visitation: Visitation from 4:00 pm to 8:00 pm on Friday, April 12, 2019 at Kurrus Funeral Home in Belleville, Illinois with a Masonic service at 7:00 pm and from 9:00 am to 10:00 am on Saturday, April 13, 2019 at the First United Presbyterian Church in Belleville, Illinois. Funeral: Funeral Services will be held at 10:00 am on Saturday, April 13, 2019 at First United Presbyterian Church, with Rev. Alexandra Lysdahl officiating. Interment will follow at Bellefontaine Cemetery in St. Louis, Missouri. I had the privilege of working with Larry at Defense Investigative Service at Scott Air Force Base and St Louis. Larry had a great sense of humor and, as mentioned in the obituary, wide-ranging interests. It was always fun to be able to sit and visit with him a bit in the field office. My sympathies to his family and friends. What a great friend of mine! We shared a passion and interest in timepieces. Had many wonderful conversations along the way as our friendship deepened. Larry was a bright, thoughtful intelligent man. I treasured our friendship and he will be missed. His wonderful wife Mary attended to him with obvious love and tenderness. Great role models of love in all circumstances. I was so sorry to hear the news that Larry passed away last week. Please accept my sympathies for you and your family. Larry was a coworker and a good friend. He took me to several fascinating museums on our weekends off work during many TDY’s to California. Larry was a man of many interests and great knowledge and I truly enjoyed talking with him. I still smile when I remember the time we drove to Michigan so he could buy an Italian high-performance motorcycle. The man who was selling the motorcycle was in his 30’s and didn’t want it anymore because it was too fast for him. Larry was 65 at the time. My heart felt condolences and prayers are with you all. Larry was such a good friend. He had a dry sense of humor, which I enjoyed along with our political discussions. Larry’s mind was strong and his heart big and giving. I know he will be missed by all whose lives he touched. Love to you during this difficult time. We are so sorry for your loss. Larry had so many interests that made him a pleasure to be around. We had some fun times going to auto museums, talking politics and genealogy. Larry was a great American, friend and co-worker. He will be missed. May great memories carry you all through this very difficult time.